Not infrequently, a CD shows up fromFanfare Central that turns out to be a delight from beginning to end, and the present disc is just one such. From the opening notes of this CD, the listener will be awash in the luxuriant sounds that emerge from his stereo system. For instance, the opening work, Dancing Shadows, combines gently flowing lines in the flute with nuanced accompaniment lines in the piano, a generally very upbeat work that is gently tinged with nostalgia. “So who is Miriam Hyde?” you ask. An Australian, she lived between 1913 and 2005, and achieved renown in her native land as a composer, pianist, teacher, and writer on music. She undertook studies in the UK with such notables as Gordon Jacob and Arthur Benjamin (himself an Aussie who spent a good portion of his career teaching in England) before returning to Australia in 1936. As a pianist, she appeared in a solo capacity in collaboration with conductors such as Malcolm Sargent, Constant Lambert, Georg Schnéevoigt, Geoffrey Simon, and Edgar Bainton. The last named was also a fine English composer who emigrated to Australia. Hyde’s piano career lasted at least until the age of 89, at which time she performed her Second Piano Concerto. Her music encompasses a wide variety of genres, ranging from small piano works to substantial concertos (both of her piano concertos have been recorded by her), but on the basis of this CD, miniatures seem to have been her forte. Her music is skillfully written, containing clever use of counterpoint (“Beside the Stream”), Impressionism (“Wedding Morn”), and a spirit of joie de vivre (evidenced in several of the present works including “The Little Juggler,” these three cited works all movements of Five Solos for Flute and Piano). Her music has a rich harmonic vocabulary, with splendid crafting of the musical ideas it contains. Stylistically, there may not be much originality heard here—these works bear resemblances in various places to the music of Jacques Ibert, Ethyl Smyth, Arnold Bax, Charles Wakefield Cadman, and others—but with the skill and beauty it evinces, who cares? The present recital encompasses Hyde’s complete output for flute and piano. Its 13 works range from the brief vignette On the Hillside, clocking in at exactly one minute, to the disc’s most substantial work, the Flute Sonata in G Minor, which is more than 12 minutes in length. The latter work is particularly impressive in its interplay between the instruments, the skill it evidences in its flute writing, and the enduring quality of its melodies. Flutists certainly must know of this substantial and rewarding work, but it should be widely known among music lovers in general. Having heard little of Hyde’s music before encountering the present CD, you may be sure that I shall be on the lookout for more of it. 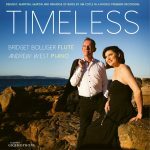 The performances of this music by flutist Bridget Bolliger and pianist Andrew West are simply not to be bettered. The crystalline clarity of Bolliger’s tonal production is the very essence of what flute sound should be, and her expressiveness and turns of phrase are most conducive to presenting this music in a way in which its composer surely would have exulted. For his part, West is a most sensitive collaborator (the word accompanist simply would not do him justice, as these pieces are duos in every sense of that term), varying his touch according to the dictates of the phrase at hand, and playing with a security of technique and musicianship that captivates. In short, I stand in awe at the superb music-making of this duo. Cala’s splendid sonics likewise add to the stellar musical experience that this disc affords the listener. 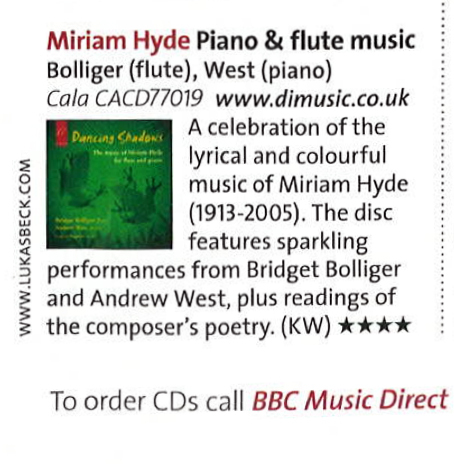 The CD closes with an unusual addendum highlighting another facet of Hyde’s talents, presenting as it does 10 of her poems. These are all brief, ranging in length from less than a minute to two minutes. I have no delusions about being an expert in poetry, but her poems fall graciously on the ear, even if to my musically trained and tuned mind they seem anticlimactic to the wonderful music that preceded them. Reader Gerard Maguire nevertheless presents them compellingly, and even if you’re not into poetry, the music makes up the majority of the running time of this CD in a ratio of approximately five to one. Very highly recommended to chamber music aficionados and music lovers in general. This entry was posted in media, reviews and tagged FanFare Magazine on 2015-11-01 by admin. Our QUINTOPIA CD has been reviewed by Audiophile Audition. This entry was posted in reviews and tagged Audiophile Audition, Qunitopia on 2014-02-17 by admin. Our QUINTOPIA CD has been reviewed by Music Web International. 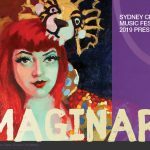 “… this is a beautiful performance, where flautist Bridget Bolliger especially gets to show off her impressionistic styling. This entry was posted in reviews and tagged Music Web International on 2014-01-31 by admin.